A beach water advisory for the Lido, Turtle and North Jetty beaches has been lifted this afternoon, July 21, the Sarasota County Health Department has announced. Health officials received testing results from samples taken Friday, July 20, that were at a level that meets both the U.S. Environmental Protection Agency and state recreational water standards, a county news release says. Read more…. Sarasota County Utilities crews are repairing a water main break that has interrupted service to at least 125 customers on Siesta Key, between North Shell Road and South Shell Road, the county announced late this afternoon, July 20. Read more…. Trevor Harvey, the president of the Sarasota County branch of the NAACP, told the organization at its monthly general membership meeting Thursday evening, July 19, that the national NAACP is taking the lead in the fight against precinct consolidation, at the local level here in Sarasota and around the country. Read more…. Because she was able to catch the mistake in time, Sarasota County Supervisor of Elections Kathy Dent says only around 1,500 of the county’s approximately 280,000 voter information cards will have to be resent because of a problem she learned of this week involving the mail house she used. Read more…. The Sarasota City commissioners on July 16 put the final ordinance in place to establish a legal bayfront mooring field downtown. This required only a decade of government activity. Commission approval followed approval by the Florida Fish and Wildlife Conservation Commission on June 28. The city is one of five jurisdictions in the state experimenting with mooring regulation. Read more…. Florida governments for the past several years have kept a race running, in a manner of speaking, between declining income and reducing expenses. Revenues declined because politicians refused to raise tax rates to compensate for the declining property tax rolls. Instead, the politicians slashed payrolls and services to keep a fiscal balance. Read more…. The Sarasota County Commission has received some good news regarding the amount of disputed Medicaid bills the county would be asked to pay under a law signed in late March by Gov. Rick Scott. Read more…. Almost all of Sarasota County’s revenue figures for the fiscal year through June continue to show positive trends, with tourist development tax money leading the way, according to data released by the Office of Financial Planning. Read more…. Although she was responsible for plenty of damage in the county, at least Tropical Storm Debby appears not to have delayed the timeline for completing work on the north Siesta bridge. That was the word today, July 20, from Jennifer Stafford, the Florida Department of Transportation consultant on the project. Read more…. Let’s give a warm and big welcome to Tom Barwin, our new city manager. He still has to negotiate a contact and get settled in. If we don’t scare him away, he may be exactly what we’re looking for. Read more…. 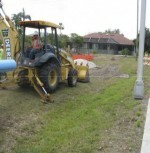 Given that only three construction staging areas have been the focus of complaints out of the 111 capital improvement projects Sarasota County has pursued over the past couple of years, the County Commission has agreed not to amend the zoning code to address problems. Read more…. It will be at least Aug. 1 before Sarasota County staff delivers a report to County Administrator Randall Reid on the use of signs with a beach ball logo to mark Siesta Key’s No. 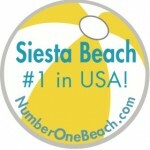 1 beach status for 2011-12, The Sarasota News Leader has learned. Read more…. We year-round residents are spoiled. That’s because in summer we’re treated to pyrotechnic sunsets beyond the wildest imaginings of snowbirds who are back home in Indiana. They’re used to “red ball descends into blue Gulf” with a regularity we would call monotony. Read more…. Major crime is down 24% for Sarasota County for the first half of 2012, the Sarasota County Sheriff’s Office reported this week. The office is crediting new county ordinances, efforts to target prolific offenders and crime prevention partnerships with citizens for the reduction. Read more…. As a result of a professional citizen petition drive, Sarasota city voters in November will consider changing their charter to strengthen the city manager at the expense of the auditor and clerk. Read more…. The Sarasota County Commission and the North Port City Commission spent Monday morning, July 16, discussing the status and future of Warm Mineral Springs, the jointly owned, 87-degree “Fountain of Youth” that draws visitors who are curious about its reputation for healing and rejuvenation from around the world. Read more…. As it turned out, Sarasota County Commissioner Nora Patterson had no trouble this week getting approval from the West Coast Inland Navigation District board for a special request. Read more…. 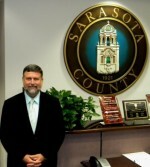 Sarasota County Government this week gained a new deputy administrator and saw the removal of “interim” from the titles of three department leaders. Staff also has been preparing for the departure of a 31-year employee with expertise in a number of areas. Read more…. The Sarasota County Sheriff’s Office is warning all residents, but especially business owners and managers, about three suspicious incidents that recently have occurred and are under investigation. Read more…. 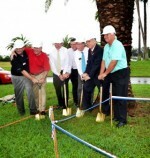 The intermittent downpours on Monday, July 16, did not prove a deterrent to members of Salt of the Earth USA and officials of the City of Venice as they broke ground for a 9/11 Memorial at Patriots Park. Read more…. Not all of the news coming out of the Middle East is bad. Twenty-one representatives from area churches and synagogues decided to create some good news of their own. This interfaith delegation, organized by The Jewish Federation of Sarasota-Manatee, recently spent 10 days in Israel on a mission of good will and cultural understanding. Read more…. The federal government has approved five more counties, including Sarasota, to be included in the Tropical Storm Debby declaration for Individual Assistance (IA), the county has announced. Read more…. As Sarasota County Commissioner Jon Thaxton pointed out last week, it’s a trend “that gets very little public attention,” but one that probably has saved the county tens of millions of dollars. His comment came on July 11, just before the commissioners voted unanimously to redeem three series of stormwater utility bonds that were issued in 1999. Read more…. The return per dollar invested in Sarasota County tourism advertising rose from $18.16 in 2009 to $34.40 in 2011, about 47%, Virginia Haley, president of Visit Sarasota County, told the County Commission during a July 11 report. Read more…. The Sarasota City Commission voted unanimously July 16 to appoint Thomas Barwin, former village manager of Oak Park, Ill., as the new city manager. Barwin will replace Robert Bartolotta, who resigned in January. Terry Lewis, who has been serving as interim city manager, announced last week he was stepping down from that position in August. Read more…. 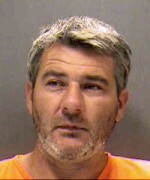 The Sarasota County Sheriff’s Office has arrested a 41-year-old man for displaying lewd conduct in front of young children on Siesta Key Beach today, July 17. Read more…. Sarasota County’s website, which has been redesigned with new contents and features to improve usability, has been launched today, July 16. The homepage is www.scgov.net. Read more…. The Riverside Drive bridge, northeast of the Dr. Martin Luther King Jr. Way bridge over Whitaker Bayou, was closed for maintenance beginning at noon July 16, the City of Sarasota announced. Read more….